Why is IMS becoming an important function for LTE deployments supporting roaming voice subscribers? What are the main controlling entities for voice support in an IMS / LTE system environment? How are voice bearers identified and handled distinct from other services? How are sessions initiated and controlled, what is meant by a transaction, a SIP call and a SIP dialog? How are SIP transactions and dialogs identified? What are the most important header fields and their purpose? Where and for what purpose is Diameter protocol being used in a network deploying voice over LTE? Which mandatory codec types have to be supported for the media stream? How does a softswitch work and what are its main components and signaling interfaces? What is CS Fallback and when and where is it applicable? How is CSFB signaled / triggered? What is SRVCC and when and where is that applicable? How is this distinct from CSFB? How is SMS handled in an LTE voice environment and what are the alternatives for SMS here? Design engineers who need to understand Voice over LTE protocols, features and interfaces. 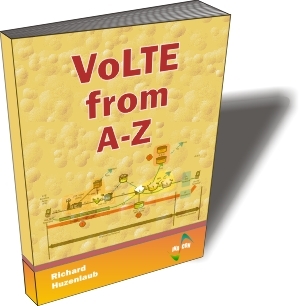 Anyone who need to understand the VoLTE terminology, features, interfaces and the applicability in future 3GPP networks.